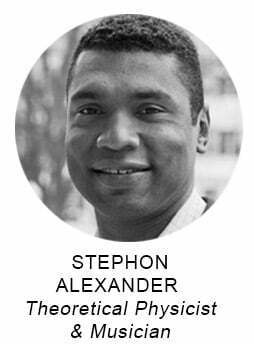 Early on in his mind-blowing new book, The Jazz of Physics, Stephon Alexander extols the virtue of analogical reasoning in theoretical physics. Fellow lay-readers of the quantum may well agree when I assert that this indeed might be the only way for many students of the theoretical to approach concepts like string theory. Alexander proves an excellent guide, revealing how the music of jazz musicians, first among them John Coltrane, have developed, in their work, a musical-imaginative extension of the theories proposed by Einstein and Pythagoras. In this exclusive excerpt, Alexander reveals the origins of his twin obsessions — jazz and physics — the guardian angels of his surprising, revelatory new book. Daniel Kaplan had been a trained master composer and a jazz baritone sax player and later was drafted to serve in the Korean War. During the war, he worked on radar technology. 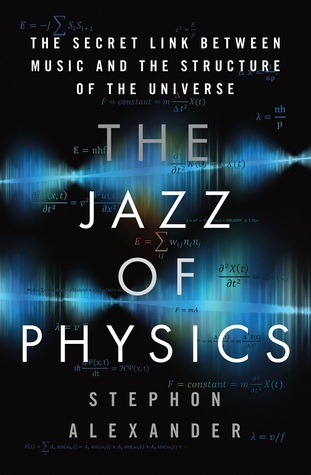 Consequently, Kaplan caught the physics bug and upon his return, pursued graduate studies in physics, while still playing his saxophone and composing. I visited Kaplan’s office every spare moment. I read his books and talked physics and music. I’d skip lunch. One day, Kaplan gave me an album, Giant Steps by John Coltrane. This groundbreaking album, released in 1960, was, in hindsight, a demonstration of Coltrane’s “sheets of sound” and a sonic equivalent to Einstein’s bending of the space-time fabric. I ended up joining my high-school jazz band and took calculus at the City College of New York, all under Kaplan’s encouragement. And then almost everything started to shift. During the mideighties, America transmuted from bell-bottoms to Spandex, from Jimmy Carter to Ronald Reagan, and the Bronx was bubbling with creativity in the arts. One of my best friends, Harvey Fergurson, knowing I played sax, invited me to join his new hip-hop band called Timbukk 3, which was under the mentorship of hip-hop pioneers Afrika Bambaataa and Jazzy Jay. Afrika Bambaataa is known for spreading hip-hop throughout the world and forming the Universal Zulu Nation, which used hip-hop culture to provide peaceful alternatives for gang members. Timbukk 3 was poised to be the Bronx wing of a collective of “conscious hip-hop artists” called Native Tongue. A Tribe Called Quest, The Jungle Brothers, and De La Soul were just a few noteworthy members of Native Tongue. Strong City Studios was Bambaataa’s north Bronx recording studio. There, I sampled beats and had my sax sampled by Jazzy Jay. I loved the excitement of being in the recording booth. With my alto pointed to the mic, I watched as Jazzy Jay and Harvey, bopping their heads by the soundboard, recorded the rhythmic modified Coltrane riffs they elicited from me, which they later chopped into sample bits and included throughout their rap song. Everything was so on: collaboration seemed to make creativity soar, and within a few months, Timbukk 3 was offered a recording deal. It was 1989. Hip-hop’s international appeal and influence was exploding, and the doors were wide open for me to become a beat maker and producer. But, deep down, I knew that I needed to grow musically, especially on my sax. And deeper than that, physics tugged at me. The importance of equations and how things worked far outweighed the hip-hop path. And so I decided to attend college instead. Growing up in the Bronx, despite its challenges and absurdities, was fertile ground for my becoming a physicist. Although my environment in the Bronx was filled with opportunities to become a working musician, the creative energy expressed by my peers—the battle rappers, break dancers, beat makers, and Five Percenters—and my devoted teachers (in particular Mr. Kaplan and Dr. Brindle) were able to inspire me to pursue my true passion. Having a role model like Mr. Kaplan, who showed me that I could identify as both a musician and a physicist, encouraged me to forge a career in physics. However, I would remain in conflict about whether or not I had made the right choice. To quiet my self-doubt, I knew I would have to figure out a way to have my physics and my music talk to each other. Lurking in the back of my mind was that image of Albert Einstein at one end of Mr. Kaplan’s office and John Coltrane at the other end, representing the dialogue between physics and music that would be my life. In college, things shifted again. I majored in physics. I pursued the professional path. I took a handful of courses on music theory, but the truth is, my involvement with music in college was minimal. It wasn’t until my graduate school years that my search for a connection between music and physics was truly ignited. Excerpted with permission from The Jazz of Physics: The Secret Link Between Music and the Structure of the Universe by Stephon Alexander. Copyright © 2016. Available from Basic Books, an imprint of Perseus Books, a division of PBG Publishing, LLC, a subsidiary of Hachette Book Group, Inc.